Oprah Winfrey Victim Of Racism In Switzerland - kaycee Weezy! 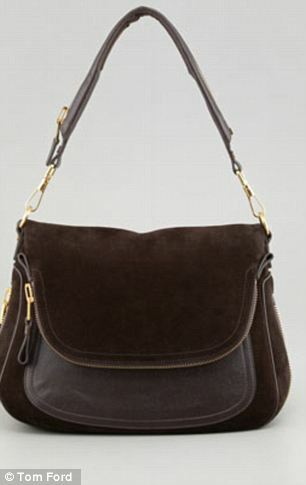 A top store in Switzerland has apologized to Oprah Winfrey for refusing to let her look at a $38,000 handbag but has denied it was because the shop assistant was being racist. Winfrey was shopping in the city ahead of Tina Turner's star-studded wedding to Erwin Bach earlier this month when a shop assistant failed to recognize her told her 'she wouldn't be able to afford' the handbag she requested to see. She said the incident taught her racism was still an issue - even when you are a world-famous celebrity. She told Entertainment Tonight: 'I was in Zurich the other day, in a store whose name I will not mention. I didn't have my eyelashes on, but I was in full Oprah Winfrey gear. I had my little Donna Karan skirt and my little sandals. But obviously 'The Oprah Winfrey Show' is not shown in Zurich. The saleswoman went on to suggest she look at cheaper bags. 'I left the store but it proves that racism is still an issue,' Oprah added. 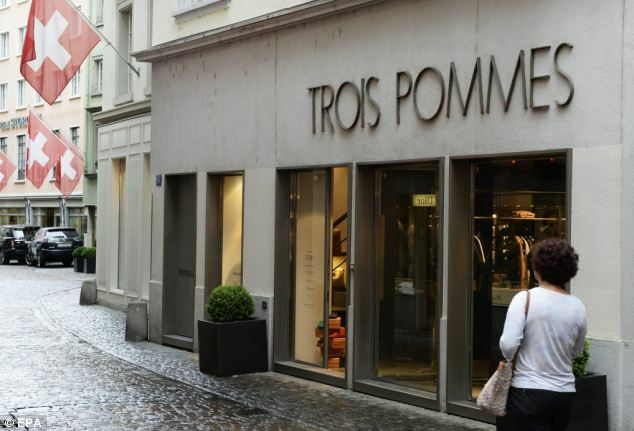 The incident took place in the chic Trois Pommes store whose owner, Trudie Götz, ironically was also a guest at the Turner nuptials. The handbag in question - a crocodile skin 'Jennifer' bag by American designer Tom Ford which he designed for Jennifer Anisten - was on sale for 35,000 Swiss francs ($38,000) and was locked in a cabinet to prevent shoplifting. The store owner told the country's Blick newspaper there had been 'a misunderstanding' caused by the assistant’s failure to recognize Oprah but denied the snub was due to racism. She apologized for her assistant’s behavior, saying there had been 'a misunderstanding between her and Oprah'. 'She said it just fine, did everything right. I can not blame the staff. I see no reason to dismiss [her]'. She has vowed to stand by the assistant and says she sees no reason to sack her following the incident. However, others disagree, and the row has split a country where racism is already in the headlines. Markus Hünig, president of the Zurich Bahnhofstrasse Association, the street where the tony boutique is situated said the assistant's conduct was 'completely unacceptable'. A spokeswoman for the Swiss tourism office said: 'We are very sorry for what happened to her' before adding in a tweet: 'this person [shop assistant] acted terribly wrong'. The bag has now been sold. During the same interview, Winfrey went on to say that racism was still prevalent in many walks of life. She added that as a high-profile and wealthy celebrity, she experienced overt forms of racism quite infrequently but sexism was far more common. 'True racism is being able to have power over somebody else. So that doesn't happen to me that way. 'It shows up for me this way, it shows up that sometimes I'm in a board room or I'm in certain situations where I'm the only woman, or I'm the only African American person within a 100 mile radius, and I can see in the energy of the people there, they don't sense that I should be holding one of those seats. 'I can sense that. I can never tell is it racism or is it sexism, because often it's both. Winfrey earned $77 million in the year ending in June, according to Forbes magazine. The incident comes as Switzerland is engulfed in a wider row over racism as communities seek to ban asylum seekers from places like churches and libraries for fear they will 'upset' the natives. Switzerland has strong right-wing elements linked to the wider neo-Nazi scene in Europe. Two years ago an anti-immigrant party ran on a platform of curbing immigration, showing on a poster a field of white sheep kicking out a black one. It's not the first time that Oprah has had a run in with a high-end boutique. Hermes was forced to apologize to Winfrey in 2005 after she was turned away from their Paris store. The talk show host was also shopping for a Tina Turner occasion then - buying her a watch for her birthday. Hermes denied Oprah was mistreated because of her race and claimed the was closed for a private event.